Kawasaki has given updates to its ZX-10R litre-class superbike range for 2019, including a new valvetrain. 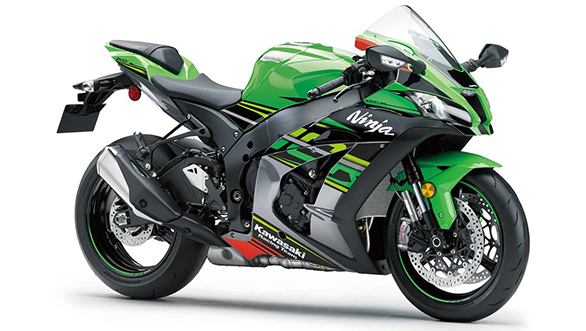 This also gives the 2019 Kawasaki Ninja ZX-10R a power bump and ensures that engine can rev harder for a longer time. With this, the company hopes to continue its winning streak at the World Superbike Championship (WSBK). 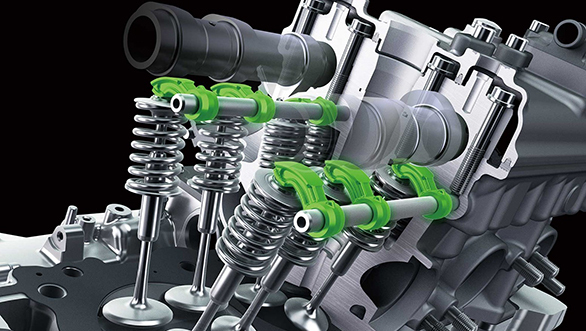 The big change on the 2019 Ninja ZX-10R is the finger-follower valve actuation system in the engine, which replaces the tappet-style valves. A similar system has previously been seen on the BMW S1000RR and the new Suzuki GSX-R1000. This reduces the valvetrain mass by around 20 per cent. 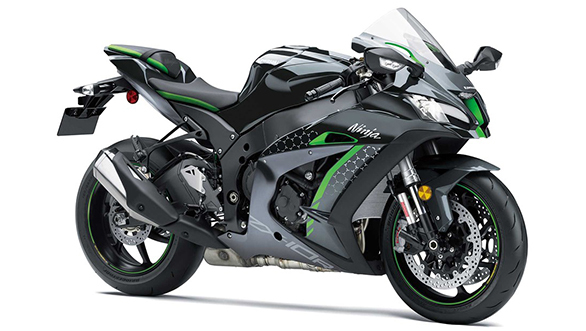 The finger-follower will be common on 2019 Kawasaki Ninja ZX-10R, ZX-10RR, and ZX-10R SE. The lighter valve setup allows the engine to rev up faster and sustain the high revs more reliably. This coupled with more aggressive cams takes the power up by 3.04PS, taking the power output to 203PS. This move will focus more on track riding and racing conditions, wherein the sustained high-revs will come in handy. The 2019 Kawasaki Ninja ZX-10RR which will be limited to a run of 500 units gets new Pankl titanium con-rods as well. These save over 400gm over the engine of the ZX-10R and SE. The con-rods also enable the ZX-10RR to rev 600rpm higher, while also adding a PS to power output for 204PS. The RR also receives track-tuned suspension, and lighter, forged Marchesini wheels. It will only be available in the Kawasaki Lime Green colour. 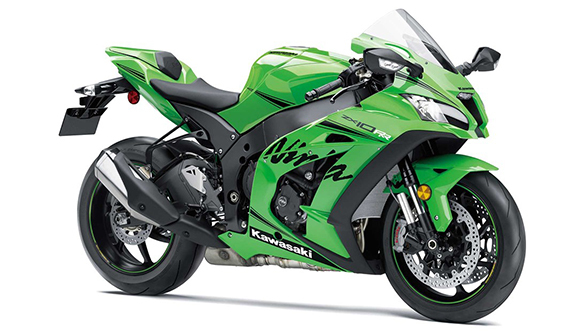 The top of the line 2019 Kawasaki Ninja ZX-10R SE retains its semi-active KECS suspension from the current motorcycle, the same updated engine as the ZX-10R and also receives Kawasaki's new anti-scratch self-healing paint job. Kawasaki has not yet announced the launch of the 2019 motorcycle range.